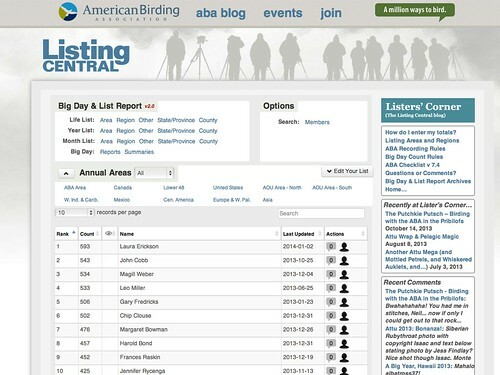 These screen captures, of the top ABA Big Year Lower-48 lists, for all time and for 2013, were taken on January 2, 2014. This doesn’t include birders who post their huge continent-wide totals but don’t bother to look back and see how many were seen in the Lower-48. 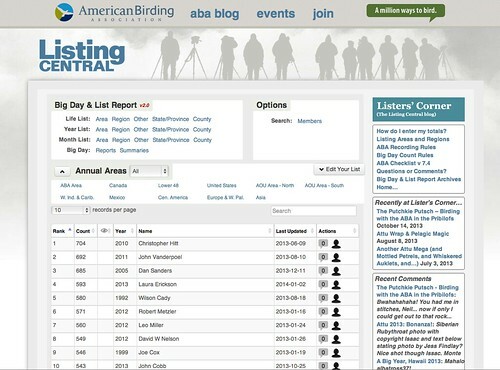 As other birders enter their numbers, my rankings are sure to drop, but I’ll never forget that for a moment, anyway, I was #1 in a very tiny category of a very tiny competition. This entry was posted in Uncategorized on January 2, 2014 by Laura Erickson.